Located just one mile from the Atlantic Beach, there is plenty to do! Whether it be going for a swim, enjoying the local scenery or strolling to one of the many local restaurants within walking distance, start your beach getaway with the beautiful scenery of Atlantic Beach. Jacksonville Fairgrounds (14.5 miles away) is home to many year-round events. Upcoming events include: the North Florida Gun & Knife Show 7/28-7/29, WWE Monday Night Raw 8/6 and so much more! Covering over 43-acres of land along the Intracostal Waterway, Cradle Creek Preserve is only 3.6 miles from Red Roof PLUS+ Neptune Beach – Mayport! Experience blooming nature trails, overlook the scenery on elevated boardwalks and take pictures from the observation platform. Complete with a canoe landing pier, this is sure to be a nature-lovers paradise! Feeling more adventurous? Head on over to Jax Surf and Paddle and pick up some gear to ride the waves! Jax Surf and Paddle also offers surf and stand up paddle board lessons. Just 1.2 miles away! #5 – Relax at Red Roof PLUS+ Neptune Beach – Mayport! 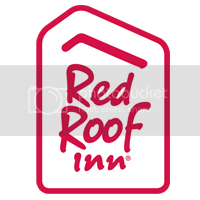 Lastly, stay in and relax in Red Roof PLUS+ Neptune Beach – Mayport’s Premium rooms. All rooms include free Wi-Fi, a flat screen TV, extended cable television with HBO, in room coffee, hair dryer, iron and ironing board. Enjoy the PLUS+ experience with our Premium Rooms breakfast and a snack ready in your room!